If he sits for a long time at the computer and looks at the screen, he has already complained about neck pain or burning eyes. This is where BenQ starts with the BL2706HT. 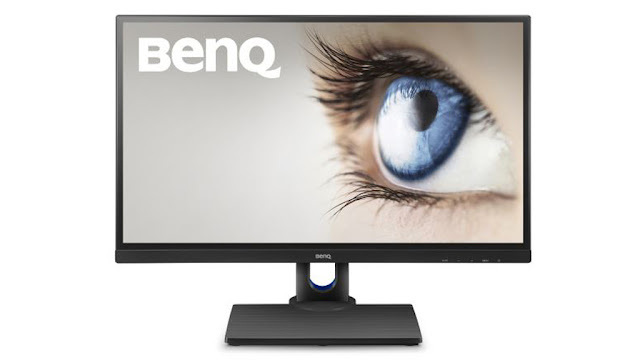 According to BenQ, the screen, which is around 230 euros in cost, optimally adapts to the user. The height of the unit can be steplessly adjusted by up to 140 millimeters, you can also rotate, tilt and swing. The viewing angle horizontal and vertical is 178 degrees, which is supposed to facilitate team work on the 27-inch screen. And the eyes also get their money's worth: an anti-glare finish is designed to minimize light reflexes, flicker-free and low-blue light technology, according to manufacturers, cause less interference and warmer colors. In addition to these amenities, the BenQ BL2706HT provides connectors for HDMI, DVI-D and D-Sub. For headphones, there is a bracket as well as an integrated loudspeaker (2x2 Watt). It can be fixed to the wall. For more information on the BenQ BL2706HT, visit the manufacturer's website .